At Artemis Financial Advisors, it's common practice for founder and CEO Leigh Bivings to personally work on client finances. “It’s a choice I made born out of a desire to work directly with clients, not just manage a firm of folks who did all the work,” Bivings says. In the late 1990s, Leigh Bivings and her husband found themselves in need of a good financial planner and sound investment advice as they were trying to determine how much they needed to accumulate for retirement and how to invest their savings appropriately. Bivings quickly learned she was not going to get the objective, informed guidance she was seeking from the traditional brokerage model. Several years later, motivated by this experience, Bivings decided to start a wealth-management firm of her own. 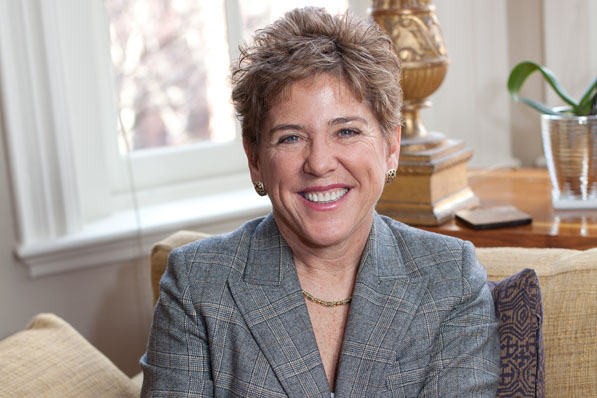 Now, armed with experience in the field and a doctorate in applied economics, her Boston-based firm Artemis Financial Advisors helps successful professionals ages 45 to 60 plan their retirement and achieve their financial goals. Artemis has maintained an important founding principle: if a person hires your firm, you will work on their finances yourself. Why do you make it a point to do this? It’s a choice I made born out of a desire to work directly with clients, not just manage a firm of folks who did all the work. This doesn’t mean I do all of the work, indeed, I absolutely leverage my employees to work together with me on client finances. I wanted to be the lead adviser on most if not all of the clients of the firm. And this was something that I found missing in the brokerage firms. I recognize that my desire to be the lead client-service person with my clients is a growth-limiting choice, but I’m very comfortable with this choice. I’m not trying to build a billion-dollar shop. I’m really trying to provide top-flight service to a manageable number of families. It certainly involves some sort of client interaction from answering an e-mail query to having a meeting or preparing for one. I really encourage my clients to reach out to me anytime. I don’t charge by the hour. There’s no meter running. I want my clients to come to me when they have a financial question. So that’s part of my day. It also typically involves studying some aspect of the markets and monitoring clients’ investment performance. How did you grow your company? Like many firms, it starts with your friends and family: you let everyone know you’re in the business. And then I soon reached out to my broader personal and professional networks and started to get referrals. I’ve been active in marketing. I provide educational content to my network to stay in touch with them. I launched what I call The Artemis Brief series. It is a one-to-three page piece written by me that answers a question that clients typically have. For example, this month I’m writing about what is the value of active management and that’s a key question in my field. So people can in the space of 15 minutes get an answer to hopefully a question that is of interest to them. Another key thing is I’ve been a member of the National Association of Professional Financial Advisors, or NAPFA. What obstacles did you have to overcome as you were growing your company? Really the biggest obstacle that I have faced, and I’m not alone in this, is educating potential clients. Many do not know what an independent, fee-only, wealth-management firm is and how and why it differs from the traditional brokerage model. Independent firms, by definition, do not have any financial relationships with any brokerage firms or money managers and so are not obligated to favor, nor compensated to push, any firm’s proprietary investment products. Few brokers are trained to provide comprehensive financial planning support, nor are their firms set up to provide personalized support. It is not uncommon for a single broker at a large institution to manage 100 to 200 accounts. In contrast, we limit our services to a select group of clients in order to provide comprehensive advice in the context of close, long-term relationships. What advice do you have for others looking to build a successful career in this field? Finding a mentor is helpful. I didn’t go out searching for one, but I ended up with one and then I realized the value of that. I would strongly encourage them to join NAPFA. This organization has been unbelievably helpful to me from business setup, practice-management training, generating leads, to how to write good financial plans. And then I would counsel them to never forget that the business is about much more than the numbers. It’s not just about investment returns. It’s really about counseling individuals to make tough decisions about how to achieve their financial goals. It’s a real relationship advisory business.